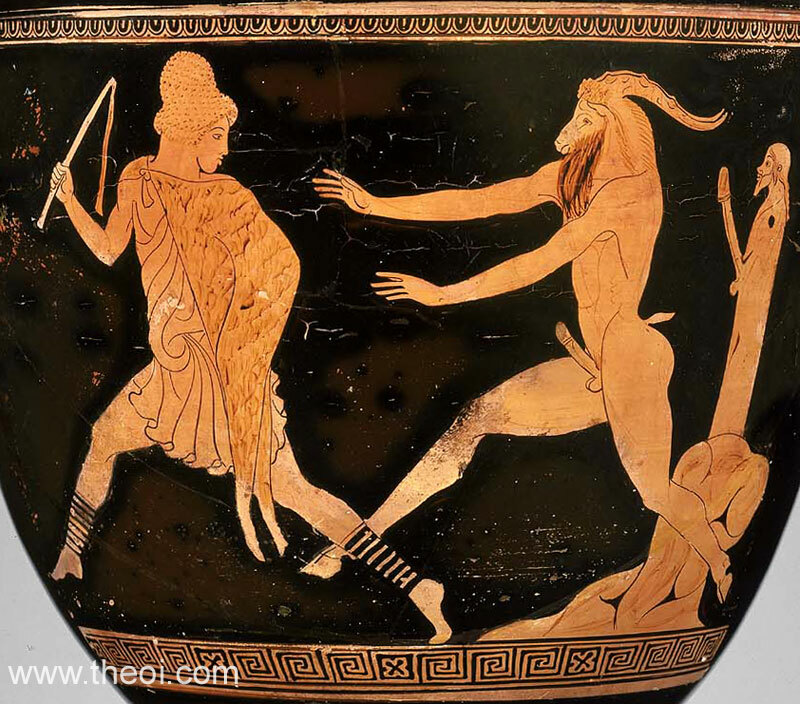 Side B: Pan (either the god or one of the lesser Panes) pursues a shepherd boy. He is depicted with the head, horns, hooves and tail of a goat and an erect member. Behind him stands a Herma--a fertility statue of the god Hermes--perched on a rock. Side A: The death of Actaeon (see other image).